Yuan Devaluation Could Boost China's GDP - Brazil's BRICS Bank Vice Pres. The devaluation of China's yuan could help lift the country's economy, according to Brazil’s vice president of the BRICS New Development Bank. 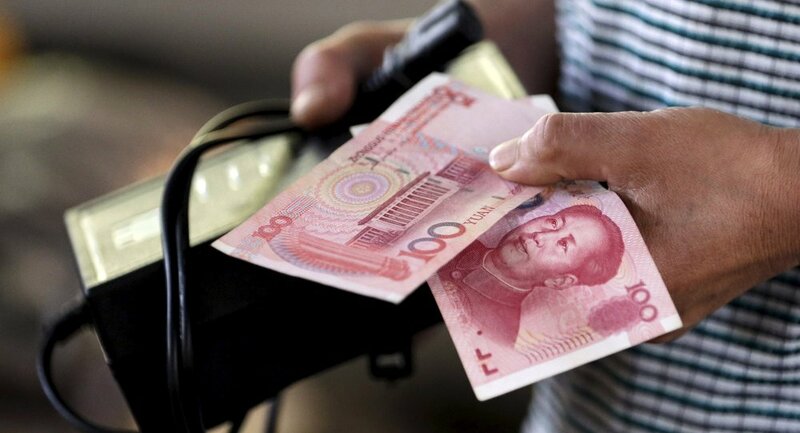 MOSCOW (Sputnik) – China's move to devalue the yuan may help boost the growth of its gross domestic product, Brazil’s vice president of the BRICS New Development Bank Paulo Nogueira Batista Junior told Sputnik Brazil. “Currently China is trying to compensate the drop in export and develop the consumption on the internal market. Because, despite the still-high rates, the growth of the GDP in China has also slowed down. And this devaluation, even though it cannot be called very radical, could help reverse this trend,” Nogueira said. On Tuesday, the People's Bank of China allowed the yuan to fall 1.9 percent shortly after the start of trading in a bid to boost the country's economy, precipitating the largest one-day exchange rate adjustment for the currency in a decade. The Chinese currency was stable at around 8.3 yuan per dollar until the summer of 2005 when it began to strengthen. Since June 2008, the yuan held at 6.8 against the US dollar, and in September 2010 it began another increase. In January 2014, the rate peaked at 6.0 yuan against the US dollar.